...to 'It's About Time' antique Clock and Watch shop. 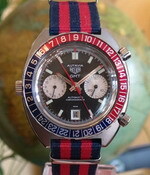 We have been buying, selling and REPAIRING antique clocks and Watches for over three decades at our shop in Westcliff on sea, Essex. 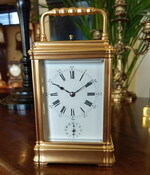 We are members of The British Watch and Clockmakers Guild and L.A.P.A.D.A. 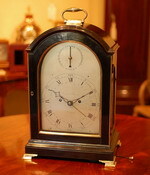 We offer a wide range of clocks, watches & barometers and we also have a good selection of Victorian & Georgian furniture. Find out more about us. HenrI Jacot, Repeat, Alarm & Case.